Almost three-quarters (74%) of parents are aware of online rating sites for physicians, and more than one-quarter (28%) have used those online ratings to choose a healthcare provider for their children, according to U-M research published today in Pediatrics. Using the University of Michigan's C.S. Mott Children's Hospital National Poll on Children's Health, researchers surveyed 1,619 parents about how online ratings of physicians influenced their choices in seeking healthcare providers for their children. They found that parents had a higher level of awareness of online sites than the overall population, says lead author David A. Hanauer, a primary care pediatrician at the University of Michigan's C.S. Mott Children's Hospital and clinical assistant professor of pediatrics at the U-M Medical School. "These review sites have the potential to change the patient-physician relationship and transform it into more of a service-focused, consumer-provider relationship," Hanauer says. In the study, parents were give three scenarios designed to measure the impact of online ratings on their decision to select a physician for their children. In the first scenario, they were told a doctor who took their health insurance was recommended by a neighbor. In the second, they were told that the neighbor-recommended doctor had one of the top ratings on a physician-rating Web site. And in the third scenario, they were told the neighbor-recommended doctor had one of the lowest physician ratings on the website. The results showed that just a neighbor's recommendation, the first scenario, spurred 22 percent of the parents to say it was very likely they'd choose the recommended physician. But when the neighbor's recommendation was combined with the high online rating, that number more than doubled, to 46 percent reporting they'd be very likely to choose the recommended physician. Meanwhile, only 3 percent said they were very likely to choose the physician based on a neighbor's recommendation with a low online rating. "A provider's online reputation may now be just as important as one's reputation among the general community, and the results from this research seems to support that perspective," Hanauer says. "Regardless of whether respondents had viewed physician ratings in the past, and independent of the respondents' age, gender or, educational level, both positive and negative online ratings strongly influenced the likelihood of selecting a child's physician recommended by a neighbor." 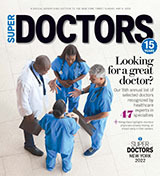 About a third of parents in the survey who reported previously using Web site reviews to choose a doctor for their child said they chose a physician due to good ratings or avoided a physician due to poor ratings. "This happens despite persistent questions about how trustworthy these sites actually are," Hanauer says. Some physicians have attempted to prevent patients from leaving comments by having them sign a "contract of mutual privacy" that forbids them from commenting on rating sites without permission. Other physicians have even sued patients for posting negative comments on ratings sites. In this survey, just 6 percent of parents said they had ever posted an online rating about a physician. "The small percentage of parents who actually post reviews suggests that people who depend on online ratings may not be getting a complete picture of a doctor's care," Hanauer says. "You can find reviews online for multiple services like hotel accommodations, mechanics or restaurant reviews. But choosing a doctor is more complex than choosing where to have dinner," Hanauer says. "Our study underscores the importance of examining awareness about, as well as use of, online physician ratings when parents are making physician choices for their children." Additional authors: All of the University of Michigan: Kai Zheng, Ph.D.; Dianne C. Singer, M.P.H. ; Achamyeleh Gebremariam, M.S. ; and Matthew M. Davis, M.D., M.A.P.P. Website: Check out the Poll's website: MottNPCH.org. You can search and browse over 90 NPCH Reports, suggest topics for future polls, share your opinion in a quick poll, and view information on popular topics. Purpose/Funding: The C.S. Mott Children's Hospital National Poll on Children's Health - based at the Child Health Evaluation and Research Unit at the University of Michigan and funded by the Department of Pediatrics and Communicable Diseases and the University of Michigan Health System - is designed to measure major health care issues and trends for U.S. children. Findings from the U-M C.S. Mott Children's Hospital National Poll on Children's Health do not represent the opinions of the investigators or the opinions of the University of Michigan.